Many people in Colorado live a healthy lifestyle and may seldom use traditional medicine. The low premiums typically associated with with Health Savings Account (HSA) qualified major medical health insurance plans can help reward people that lead a healthy lifestyle while still providing a level of protection against the unforeseen. Health Savings Accounts can be used for more than the common covered expenses for things such as doctor fees, dentists, surgeons, many prescription medications, hospital services, qualified long-term care services, nursing services, and laboratory fees. HSA qualified medical expenses* may also include fees paid to chiropractors, psychiatrists, psychologists, and Christian Science practitioners. Massage is a qualified expense if a physician or chiropractor recommends it, but not if someone just decides to seek it on their own. Likewise, Yoga or mind-body programs may count as qualified expenses when an authorized health care provider recommends them, but not when a person self-refers. Vitamins or nutritional supplements are only considered a qualified medical expenses when they’re prescribed by a physician. Please note this important limitation. 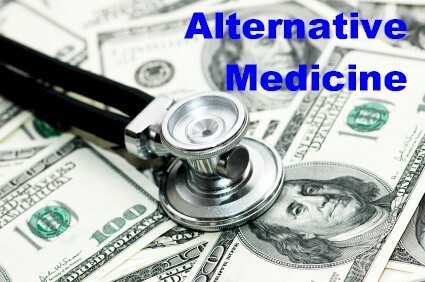 Payments for acupuncture treatments or inpatient treatment at a center for alcohol or drug addiction may also be considered covered medical expenses. Play it safe and consult with your tax professional as these regulations may change from year to year. Please note that since 2011 the rules changed and over the counter medications are only allowable if prescribed by a doctor in the same state in which they were purchased. Also note that since 2011 the tax penalties for non-qualifed withdrawls increased to 20%. When in doubt, always consult with a tax professional. No one insurance company is the best in all situations. Things like age, zip code, tobacco use and health history will influence which plan will be best for your specific needs. We will review HSA qualified plans from Colorado’s top companies including Anthem Blue Cross Blue Shield, Humana, Aetna, Assurant Health, American Medical Security and UnitedHealthcare Golden Rule and more to help you find the best value on the right health plan. Get a free personalized quote on an HSA qualified health plan. Health Savings Accounts are the biggest advancement in health care financing in years is available to anyone in Colorado with our HSA qualifying medical plans! Call Colorado Health Insurance Brokers at 800-416-4481 for more information and a free quote or Get a free instant HSA quote.